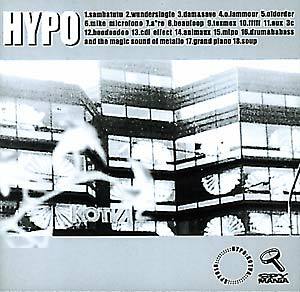 "Hypo is Parisian Anthony Kayeux, also half of Transbeauce who featured on the Spymania Allstars comp. and released tracks on 555 Recordings. An easy on the ear lo fi blend of electronics and acoustics in a kind of quirky pop/ambient stylee. As usual there is plenty of clicking and hissing but also some lovely melodies, and believe it or not, some real instruments played by a human person. File next to: Warp/Skam."